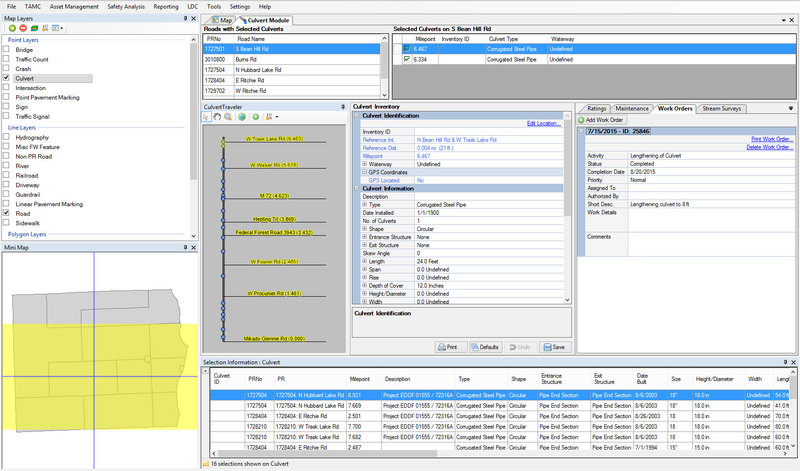 Roadsoft's Culvert module contains information about culvert locations, conditions, and types. 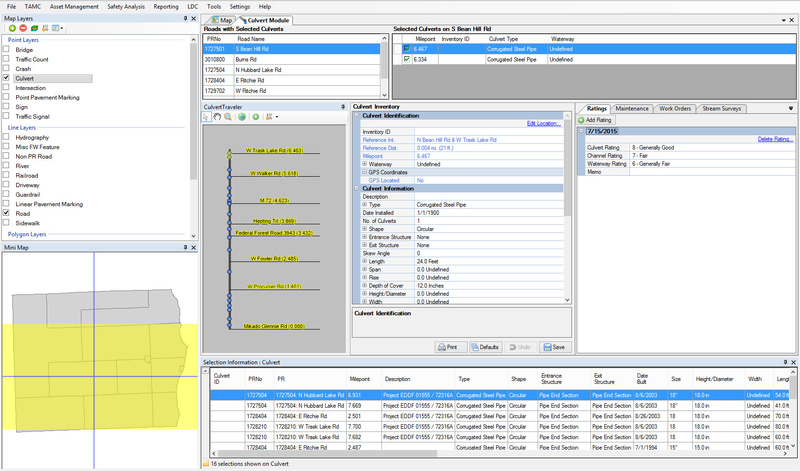 The built-in filter, network, and reporting tools allow you to select a series of culverts along a waterway and generate a list of maintenance needs and work orders. You can also quickly see the sizes and types of culverts along a waterway to help you decide if the hydraulic capacity will be adequate for an expected weather event.